Annapurna Base Camp Trekking is the utmost popular and Exodus trip itinerary in Nepal and the entire world. This amazing and unique trip brings you so close to the base of 7,000 an8,000-meter peaks in such a short period of time as the Annapurna Base Camp Trekking. The Trek gives us niche opportunity to observe the incredible and majestic peaks of Annapurna I (8091 m), Annapurna South (7219 m), Machapuchhre (6993 m) and Hiunchuli (6441 m). 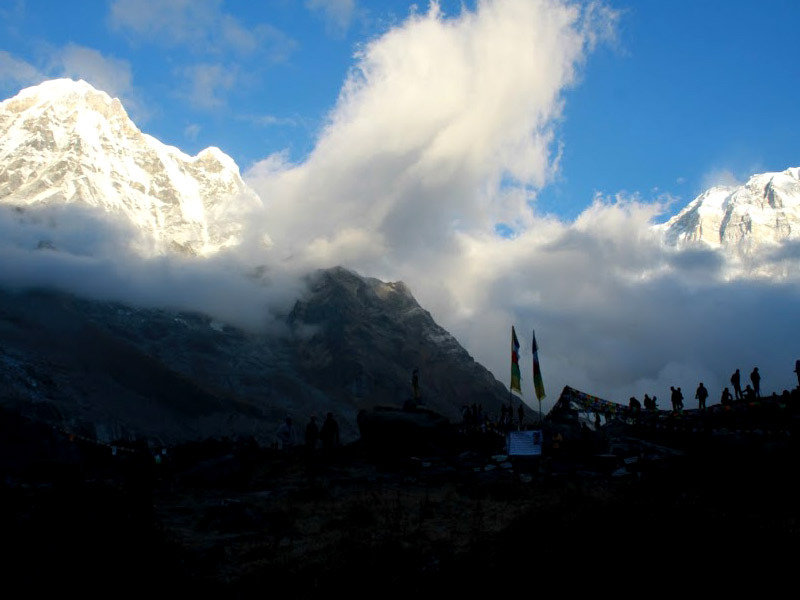 Listing as one of the most visited trekking regions and also the thousands of foreigner tourists come to Nepal. Most of them come here just to trekking and hiking along the Annapurna region and enjoy adventures of the trip to Nepal. The trail experience beautiful settlement Gurung, Magar traditional house, terraced rice paddies, lush rhododendron forests and high altitude landscapes with the Annapurna Range and other stunning and incredible majestic mountains view most of the times. The best seasons for the Annapurna Base Camp Trekking, September to November and March to May. These months are the best time to observe panoramic beauty, the trip is around 4230 meter, the high altitude of the Basecamp. We request and suggested to all visitor and our clients enroll in trekking over the mentioned months. This Annapurna base camp journey will be one of the best lifetime Himalayan experience for real adventure trekkers and nature lovers. The Annapurna Base Camp trekking is quite popular for those visitors, who don't have enough days and interested in exploring the incredible natural beauty and getting big opportunity to taste of Nepal hiking. This unique trekking itinerary presented here takes 12 days, beginning from Nayapul. We will drive or flight to beautiful city Pokhara from Kathmandu, then you can enjoy scenic views along the Prithibi Highway, terraced rice paddies, Trishuli River, settlement Nepali house and green forest then you will reach about five to six hours but from flight it takes 35 minutes, one and half hour drive from Pokhara to catch our trekking starting point. Our trekking starts from Nayapul walking along Modi Khola and Tikhedunga, we'll check the permits and Tims card and again entering the Modi Kola Valley which leads up to the Base Camp. This trekking will lead by our English and other Language speaking mountain experience knowledgeable guide. We have been providing the best quality accommodation in the Annapurna region and also reasonable and affordable cost in the packages. Many trekkers trek the circuit Nayapul, Tikhedunga, Ghorepani, Ghandruk and Nayapul, which is very rewarding in itself. This trek suitable for children as well. Other foot trails are Nayapul, Ghandruk, Chhomorong, Bamboo, Deurali, Annapurna Base Camp via Machhapuchhre Base Camp, Bamboo and return via Jhinu Danda and you can rest in the delightful hot springs and enjoys. Upon your return, it is worthwhile visiting one of the very unique and wonderful Gurung villages and scenic view of Annapurna, Dhaulagiri, Hiuchuli, Machhapuchhare and other beautiful majestic peaks. This trek is truly magical and a lifetime experience and adventure. We are anticipating to share lifetime Himalayan experience with you. Hotel Accommodation in Kathmandu and Pokhara three star Hotel on Bed & Breakfast basis. Meals on full board (Breakfast, lunch, and dinner) and boils water in mountain throughout the trekking. Teahouse and tented accommodation during the trekking. Annapurna Conservation Area permits (ACAP) and Trekking Information Management System (TIMS) permit for trekkers. Necessary staff with experience English Speaking guide, Necessary porters. 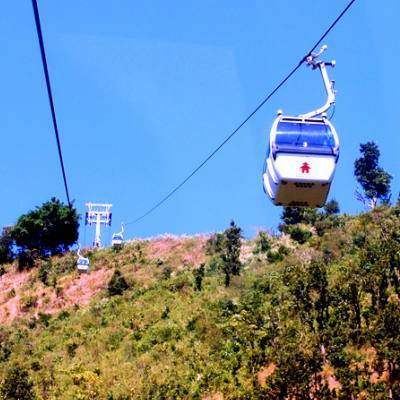 All ground transportation as per the itinerary by tourist vehicle. Day 01Arrival in Kathmandu (1345m)After arrival at Tribhuvan International Airport (TIA) in Kathmandu, you will meet our representative who will receive you outside the airport with Nepal Glacier Treks & Expedition’s signboard and transfer to your respective hotel by private vehicle. You will enjoy the evening yourself and then have a pleasant stay at the hotel in Kathmandu. Day 02Pre- trip meeting and Kathmandu valley sightseeing On this day, after breakfast in the morning, at around 8 am, we call a pre-trip meeting at your hotel in Kathmandu and introduce your trek leader/guide. Please get this opportunity to ask questions about your trek, tour and important things. In the meeting, please make sure you bring a passport, three copies of passport-size photos, and a readable copy of your travel insurance policy. During this meeting and please clear the due balance. After meeting we will begin our Kathmandu valley sightseeing including the cultural and historical site of Kathmandu Durbar Square, Patan Durbar Square and largest legendary Buddhist stupa of Swyambhunath and Bouddhanath, and very famous Hindu temple of Pashupatinath which are listed in world heritage sites by UNESCO. If we have plenty time, will visit Bhaktapur Durbar Square- it is a city of Devote and back to the hotel then have a pleasant stay at overnight in Kathmandu. Day 03Fly to Pokhara (820m): 30 minutes flight, 1 hour drive to Nayapul and trek to Ghandruk (1940m) 5- 6 hrs trek This day in the morning, after breakfast we take a short flight (30 minutes) from the Kathmandu to Pokhara. In the flight time, we can see a beautiful panoramic view of Dhaulagiri, Ganesh Himal, Lamjung Himal, Manaslu Himal and other mountain range. After a short flight, we will drive to Nayapul and trek heading to Ghandruk via Tikhedunga with check/ taking Permit and TIMS Card, when ascends up trails are a steep stone staircase, close view of majestic Himalayan range, terraced rice paddies, lush rhododendron forests and Gurung village. Enjoying and taking rest, we will reach the Ghandruk village and check in a guesthouse then have a pleasant stay with delicious dinner in Ghandruk village. Day 04Ghandruk to Chhomrong trek (2170m): 5- 6 hour On this day having delicious hot breakfast in the morning, we will move ahead to Chhomrong via Tadapani from the Ghandruk village. The trek designs ascend through the rhododendron forest, Gurung village and different kind of panoramic Mountain View with a lovely smile and we can hear birds chirping. We take lunch in Tadapani village and leaving this village the trail goes down through the terraced field to Kimrung River, cross the bridge then continue to walk to Gurung village, the trail again ascends and a straight walk to Chhomrong village. It takes 5- 6 hours up and down walk from the Ghandruk to Chhomrong. We will check in the guesthouse and have a pleasant stay with delicious dinner in Chhomrong village. Day 05Chhomrong to Bamboo trek (2310m): 4- 5 hour The trail goes up through the thousands of stone staircase and crosses the Chhomrong River on the bridge and climb up Sinuwa. It is an easy walk with rhododendron forest and different kind of trees and scenery of mountain. After having lunch and we walk again throughout the cool green forest and about an hour steep down with beautiful stone staircase to Bamboo. Having fun, easy and difficult trails are crossing; we get in the Bamboo and check in a guest house than pleasant stay with delicious dinner in Bamboo. Day 06Bamboo to Deurali trek (3230m): 3- 4 hour This day after hot and delicious breakfast, we are ascending to Deurali via Dovan and Himalaya from the Bamboo. After ascending we will reach to Deurali nearly 3- 4 hours and this place will close to reach in Annapurna Base Camp Trekking. Annapurna means “Full of Food” and another meaning is “Goddess of the Harvest and Wealth”, according to religious view it is respect to the Mother Nature, create calm and peaceful. After descending and ascending, we reach to Deurali and check in a guesthouse then please stay with delicious dinner in Deurali. Day 07Deurali to Annapurna Base Camp (4,130m) via Machhapuchhre Base Camp (3700m): 5- 6 hour After Deurali, here fewer steps and walking some stone step, finally we are very near to complete our awesome dream that would be lasting throughout our life. Between Machhapuchhre Base Camp and some places is a risk of avalanches so before going to Base Camp, make sure you have the latest news and information on trail and weather condition. We will walk continued ahead through the Machhapuchhre Base Camp until getting to a safe place. As your walk further, more unique and unexpected beautiful white mountains are exploring and leaving those mountains. The trail goes to the left in the valley, we suggest you don’t rush and walk gentle and pleasant. 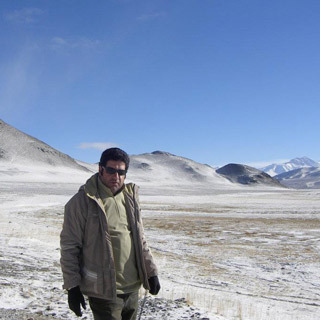 After the gentle walk you are in Base camp now and will get an opportunity to explore the beautiful view of Mt. Machhapuchhre (6997m), Annapurna 1 (8091m), Annapurna south (7219m) and other awesome neighbor peaks. After wonderful viewing, we will stay at the guesthouse. Day 08Annapurna Base Camp to Bamboo: 7- 8 hour This day after enjoying awesome panoramic Mountain View and hidden valley and having delicious hot breakfast, tea and coffee and trek down to Bamboo via Machhapuchhre base camp, again crossing avalanches, Modi k Khola, Deurali, Himalaya, and Dovan. After 7- 8 walk we reach to Bomboo from the Annapurna base camp and will stay at the guesthouse. Day 09Bamboo to Jhinu Danda (1760m): 5- 6 hour After taking breakfast, tea, and coffee in the morning, we will move to Jhinu Danda, it takes 6 hours from the Bamboo. This is a beautiful settlement Gurung village where you can take bath in natural hot spring water and give your tired muscles well rest. When we get down from the Bamboo it is pleasant jungle walk via Sinuwa then head down to Chhomrong Khola and walk ascend long stone staircase and then descend to Jhinu Danda via Nayagaun. Walking up and down it takes 6 hours and overnight at Jhinu Danda. Day 10Trek to NayaPul then drive to Pokhara: 6 hrs trek, 2 hour drive Today, after breakfast we walk down to Nayapul from the Jhinu Danda. We will get begin trek with terraced paddy field, green forest and see beautiful stone roof Gurung village. Where we can see very attractive, unique and incredible spectacular peaks of Annapurna South (7219m), Hiuchuli (6441m), Gangapurna (7454m), Annapurna 3 7555m) and Machhapuchhre Himal (6997m). We continued to walk down till reach Nayapul and drive back to Pokhara, it takes one and half hour scenic drive from the Nayapul. Check in a hotel and refreshed than in the evening you can enjoy you around Lakeside and have a pleasant stay at a hotel in Pokhara. Day 11drive to Kathmandu This day we will be back to Kathmandu from the trekking area by the drive. It takes around 6 hours scenic drive from Pokhara city. 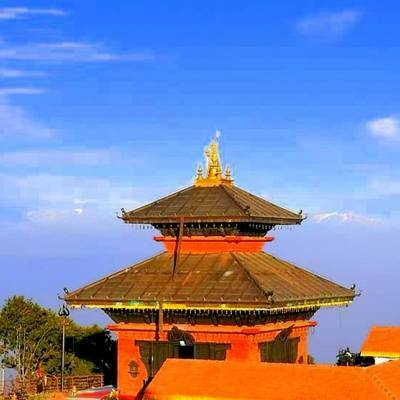 Arriving Kathmandu you will transfer to your respected hotel, refreshed and take some rest and in the evening time you can buy souvenirs and gifts to your family, relatives, friends and loved one back home and enjoy farewell dinner with local food and cultural show then have a pleasant stay overnight at hotel. Group size: Min. 2 pax.